AICE Awards: Josh Bohoskey won Best Colour Grade - Music Video: Leaf ft. Lil Yachty ‘Nada’. British Arrows Craft Awards: James Bamford received two nominations for Best Colourist with Burberry ‘The Tale of Thomas Burberry’ and No7 ‘Ready To Speak Up’. Dave 'Luddy' Ludlam, alongside Peter Doyle, has also been recognised for Best Colourist with H&M ‘Come Together’. Creative Circle Awards:Seamus O’Kane was awarded a Silver award for 'Best Colourist' for Waitrose ‘Coming Home’. Oisin O’Driscoll picked up a Silver Award for 'Best Colourist' for Save the Children 'Most Shocking'. Seamus explains: "Being involved with this project was a fascinating experience. The original rushes provided a hint of the magnificence to come but the evolution of the colour palette was intimately entwined with the complex and multilayered post. Sam always had a vision for the intensity of the experience and we sought to balance this against the aesthetic of timeless elegance that would sustain repeated viewing. "I was able to create an environment that seeped tonal intensity into the physical structure whilst allowing for the characters to separate but yet feel totally part of the physical film set that they were photographed within. It was vital to keep a traditional epic Hollywood level of quality and remain faithful to the shoot to celebrate the illustrious content on offer. The result is an intense visual feast that is also very beautiful." Working closely with Who Wot Why x giffgaff and Director Sean Thompson out of Dark Energy, The Mill helped to create this quirky spot for giffgaff, which takes viewers on an epic journey from a lido to mars and back again. Mill Colourist James Bamford explains: "The main role of the film from the very beginning was to be bold and brave. We were provided with an image representing the classic technicolor look which created the foundation that the grade was based on. Strong skin tones with a classic deep blue, cyan hint, inherent in many of the classic films that were shot using this film process. "The poolside at the beginning sets the scene for this, while continuing the strong skin tone throughout the film, also instilling a bit of freshness to it as she enters space. The overall look is of a nostalgic technicolor film with a modern twist, helping the spot to stand out from the crowd." Working closely with Joint, Mill+ helped to create this dynamic and visually stimulating piece for Vue Cinemas to showcase the vast range of entertainment available to their customers. 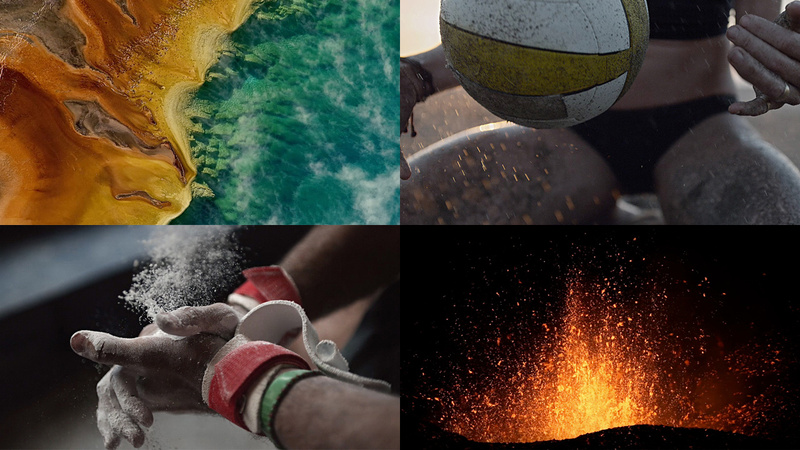 Mill Colourist Mick Vincent shares: "The key challenges with this job were to make the stock footage feel inspiring and to make it feel like it belonged to the whole piece. The nature of the edit meant that the CG had to meld with the live action which meant that I had to transition my grades between every shot. This necessitated working closely with 3D during the evolution of the spot to make sure I could complete the grade without compromise." The Climate Coalition ‘Show The Love’, starring actors Miranda Richardson and Jason Isaacs, acts as a thought-provoking display of natural beauty, with shots of landscapes from far and wide interjected with imagery of care-free young children as they play amongst some stunning scenery. Mill Colourist David ‘Luddy’ Ludlam comments: "This was a beautiful shoot by Daniel Holland on two formats, the Alexa and Canon 5D. Stuart put in a huge amount of work behind the scenes, testing various time-lapse and long, open exposure settings beforehand. "The spot is a very soft-focused and organic piece which aims to take viewers on a journey and open their minds to the damage and change needed for us to look after the world that we live in now. I felt the music score by Elbow especially brought this piece to life in a very dramatic climax, further complimented by the photography and variety of grades throughout which resulted in a very moving and memorable spot. It was a really rewarding project to be a part of." The beautifully stripped back promo, which is also available in 360, focuses on the purity of the singer's relationship with the piano in his mother's home and features model and activist Adwoa Aboah. Mill Colourist Oisin O’Driscoll graded both pieces and explains: "Working from a very strong reference which had lifted green shadows and saturated yellow highlights we explored the material to find a more refined grade. I began bringing the material to a natural starting point paying particular attention to the contrast and skin tones. From there we pushed more style in by adding greens to the shadows and adding yellow tones to the highlights. As the narrative develops and the dust particles start to increase I gradually increased the warmth until the final reveal at which point I cooled off the shot again to enhance the sense of loss." This hard-hitting yet courageous spot for Teenage Cancer Trust explores the emotions and thoughts of those whose lives have been touched by cancer from a young age, reaching out to viewers for support. Jim Bracher shares: "This was so beautifully photographed by Thomas Hole that it really was a pleasure to work on. The grade needed to be sympathetic without being gloomy. We kept it very natural and maintained the soft ethereal quality of the lenses. It's really about the testimony of the teenagers, so as is so often the case the grade had to be effective without being overtly perceptible so control and restraint were necessary." Fergus McCall, Head of Colour at The Mill NY, teamed up with Anomaly and Director Karim Huu Do from Caviar for the latest spot for Converse 'Forever Chuck' featuring multiple young influencers that include actress Millie Bobby Brown from Stranger Things, hip-hop artist Vince Staples, actress Maisie Williams from Game of Thrones and many others. 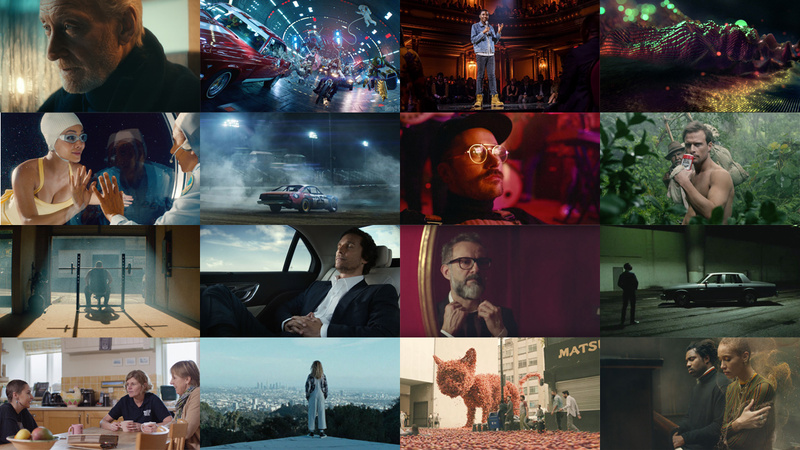 'Crafted' is the latest spot in the Lincoln 'Forward' campaign featuring Oscar award winning actor Matthew McConaughey. Valvoline 'Never Idle' was an organic collaboration between the Director Salomon and Director of Photography Kate Arizmendi, along with Mill Colourist Mikey Rossiter adding a gritty grade to an already cinematic spot for the brand. The project was approached from still photography stand point, allowing each scenario to stand alone instead of going for continuity throughout the whole piece. Mikey Rossiter adds, "We played with various palettes, ultimately embracing what was inherited from the still photography and pushing it just outside the natural realm." The director's debut short film, 'Bulldozer', centers around death match wrestler Matt Tremont, better known as The Bulldozer. A true story about passion, pain and glory! Josh Bohoskey shares: "For the film, we wanted a real gritty, filmic look to complement the story. Working closely with Mathew and Director of Photography Anthony Carella, we referenced films like The Wrestler and American Hustle, this helped us hone on what we wanted to capture." TUMI partnered with the Tribeca Film Festival to give 10 up-and-coming directors the opportunity to film their vision for the “perfect journey.” Germain Gulick's Perfect Journey features Christian Pineda. Born and raised in Tijuana, Christian studied architecture in the U.S. before creating Los Tacos No. 1, which was awarded “best tacos in New York” by New York Magazine in 2016. With two shops in Chelsea Markets and another under construction in Times Square—which Christian designed every inch of—he is spreading his wings in Manhattan and beginning to live out his passion. This is Christian Pineda’s perfect journey. Strongbow Apple Cider’s latest film for their Nature Remix campaign, ‘A Nature Dream’, follows a dynamic journey through Mexico City as everyday objects converge with art, imagination and plenty of apples. The thought-provoking music video for ‘Feel It Still’, the hit single by Portugal. The Man features rich, cinematic imagery that spans beyond the screen, translating into a powerful message for the masses. Gregory’s grade maintains naturalistic appearances throughout while adding slight tints to convey certain moods for each shot. He worked with Director of Photography Michael Ragen to achieve the final look. Created in partnership with friends Chris Storer (EP), Drew Wehde (DOP) & Bo Burnham at A24, 'Jerrod Carmichael: 8' was taped in December before a live audience at the historic Masonic Hall in New York City and features Carmichael's subversive, thought-provoking take on cultural norms. Performing in the round and engaging audience members during his act, Carmichael addresses a wide range of subjects, including Trump’s victory, climate change, supporting the troops, animal rights, being a good boyfriend and his top four fears, as well as exploring larger themes like race, politics, love and family. Luke also graded the upcoming Netflix Comedy special 'Hasan Minhaj: Homecoming King', out on May 23rd. For the second act in GQ’s The Performers video series, three-starred Michelin chef Massimo Bottura travels to Milan to show how jazz legend Thelonious Monk has influenced his cooking at his world-famous restaurant Osteria Francescana. See the latest work by Mill Colourists here.